vSphere Client requires Windows XP SP2 or later. vSphere Client cannot be installed on a Domain Controller. Well I’m not over the moon about that? Ive only got one permanent VM and it’s a DC? Who came up with this? What about sites who have a single DC on an ESX box? What are they going to do! vSphere Web Client requires Windows Server 2008 or later. 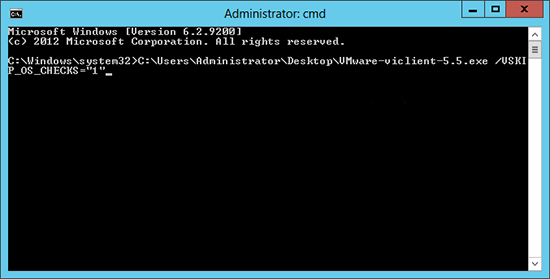 vSphere Web Client cannot be installed on a Domain Controller. Fair enough! So I tried the same switch on that, and guess what? That works as well. You can also use the ‘Thin App’ version of the VI client, (even if you don’t have ThinApp) you can download it here.